This past November, I traveled to Italy, to the ruins of the city of Pompeii to research I Survived #10: The Destruction of Pompeii. 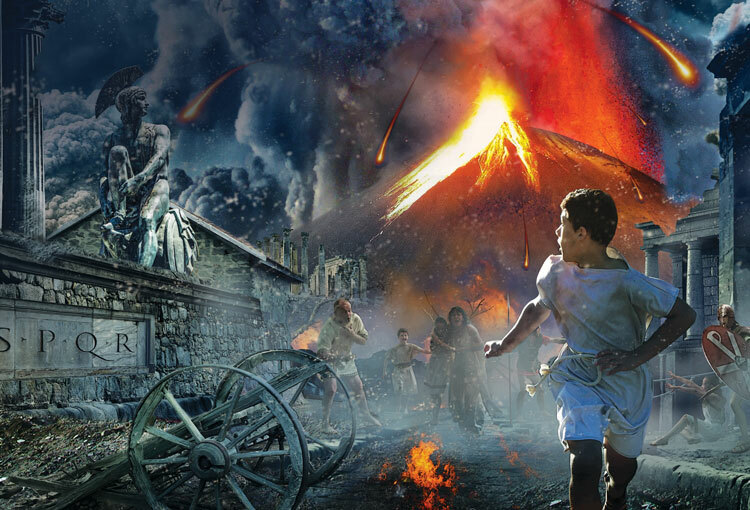 Two thousand years ago, Pompeii and surrounding towns were buried when the volcano Vesuvius exploded, spewing millions of ton of molten rock and ash into the sky. Pompeii’s beautiful homes and bustling restaurants and shops were buried under 25 feet of volcanic debris, and not rediscovered until the 1700s. Pompeii was a part of the Roman Empire. Walking through the ruins today, I was transported to the days of the gladiators, when people worshipped gods like Venus and Apollo. Back in those days, nobody knew that Vesuvius, which loomed above Pompeii, was an active volcano. In the days before the eruption, there were many warnings – terrible smells and many earthquakes. But nobody imagined the disaster that was about to unfold. I can’t wait for you to read this new edition of the I Survived Series. My hope is that it opens a whole new world for you: that of Ancient Rome. Click the image below to start the slideshow! Hover over the image to zoom in, or tap-and-hold on your mobile device.